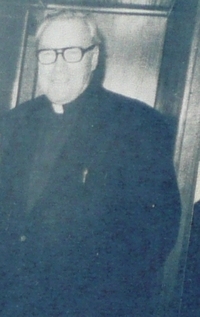 The Needy Children's Christmas Fund is a non-profit corporation inspired by the late Monsignor Edward B. Lucitt (photo)and founded by a group of people who wished to continue Monsignor's effort to provide clothes and shoes for children in need in both public and parochial schools in Gloucester City. Since its initial inception, many, many people have graciously contributed their time and money to The Needy Children Corporation. We are truly grateful for the generosity of all those people who, like you, have been so gracious in contributing to this fund to provi de countless youngsters needed warm winter clothes. We hope to be able to continue this good work and solicit your support in this effort. Any contribution will be sincerely appreciated. This information remains confidential and will not be given to any other solicitors. Please complete and return the information below with your contribution.